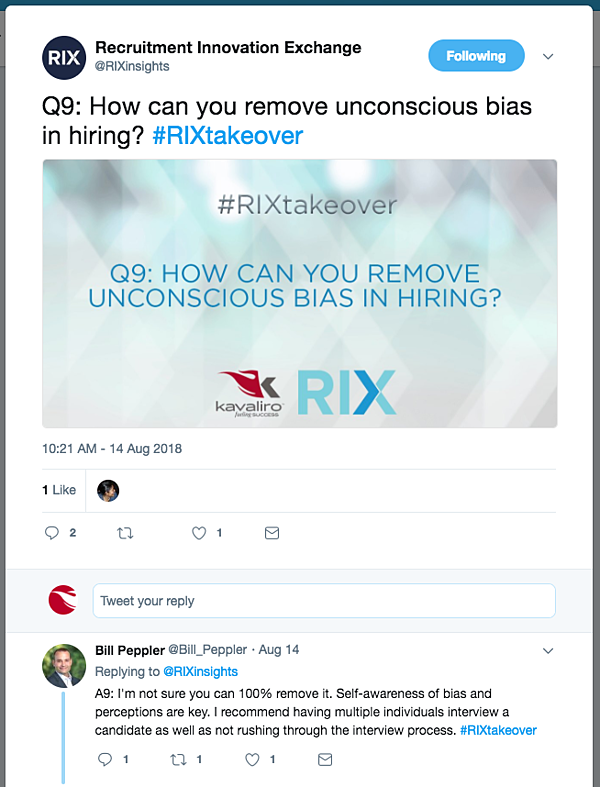 Kavaliro's COO, Bill Peppler recent participated in a Recruitment Innovation Exchange's (RIX) first-ever Twitter takeover. 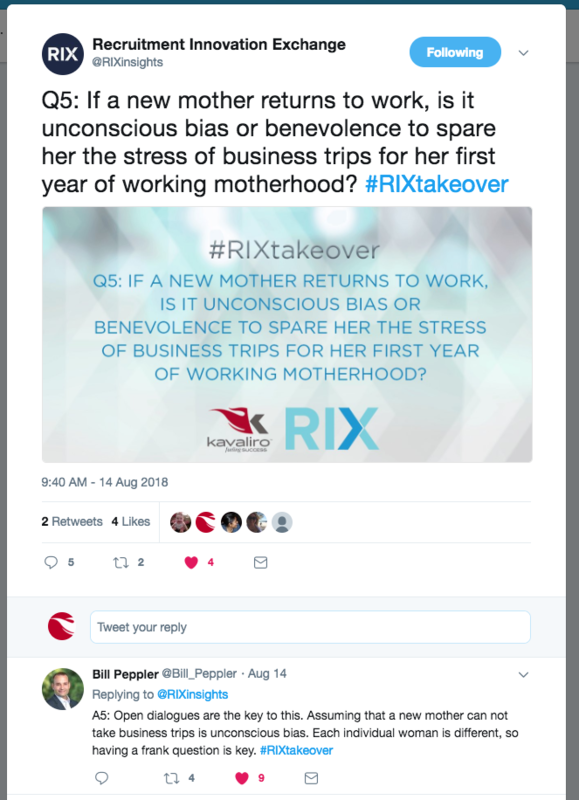 "It was a big honor to be selected by RIX and Bullhorn as the first person to engage with them in a Twitter takeover," said COO, Bill Peppler. "Unconscious bias is something I am passionate about and am always working to self-identify my bias and educate those around me." Unconscious bias, also known as implicit bias, is defined as social stereotyping about particular people that individuals from outside their awareness. This was the first question the #RIXTakeover asked, and it sparked quite the conversation. Bill talked about an experience he had with unconscious bias during the formation of the Software Company, FYRE. Saying "I did this with myself here at Kavaliro. We founded a company called FYRE, and the person who came up with the idea was 23 years old. I had to tune out my unconscious bias in thinking he was too young. I hired him, and it was a great decision." We asked Bill more about this once he finished up the Twitter chat and his the story was inspiring. 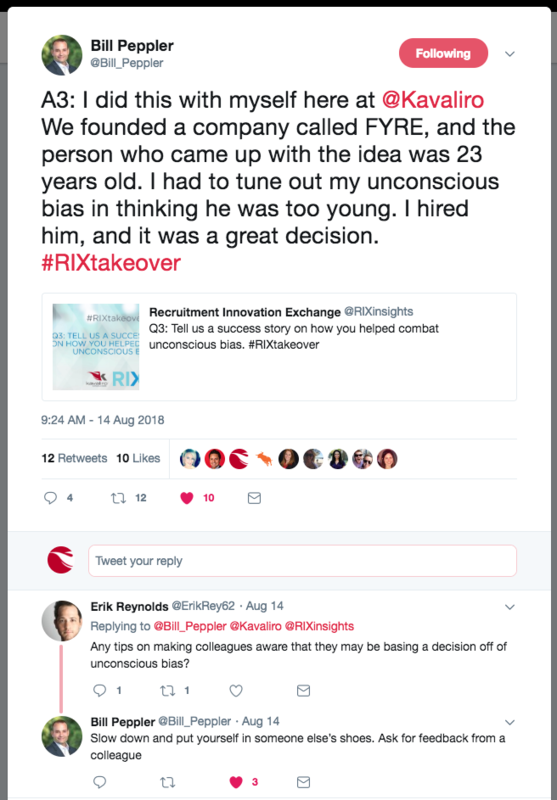 He said that when it came time to decide who would lead FYRE, he kept thinking that Tim could not do it because of his age. After collaborating with his peers, Bill asked himself "Why couldn’t Tim be the one to take charge of this initiative”. Once he started questioning himself, he realized the only thing stopping him from hiring Tim was his age. Bill unconscious bias was holding him back from hiring the right candidate for the job. 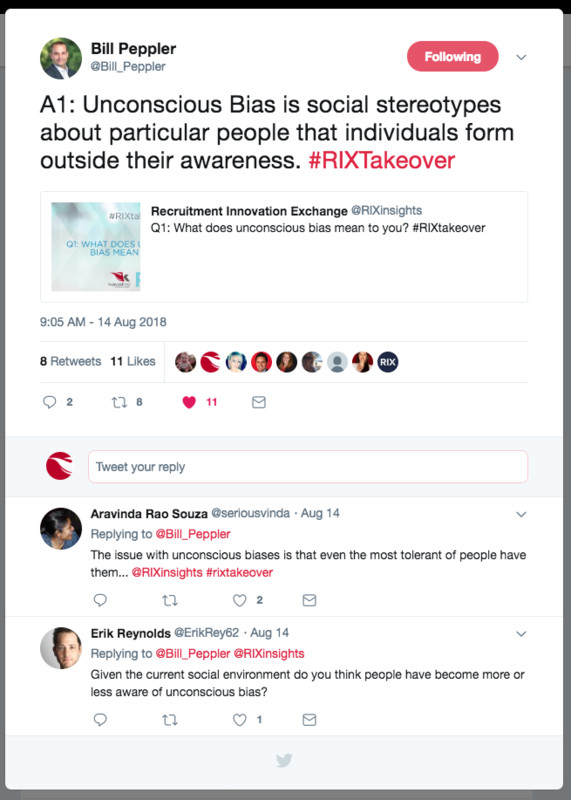 Several topics were discussed during the #RIXTakeover including maternity leave and unconscious bias that women experience. "I found Bill's responses to the maternity leave questions refreshing, and I wish more leaders approached the topic as he does." said, Director of Recruiting, Jessica Hixson "Having an open dialogue with women, I feel definitely builds a workplace culture of respect and understanding." Unconscious bias is a real thing that affects hiring practices for all individuals both being hired and those hiring. As individuals become more cognizant of their inherent bias, they can take steps to counterbalance themselves. Bill suggests these tips to help reduce unconscious bias when hiring. 1. Blind Resume Review- As resumes come through, white out the personal information of the applicant. 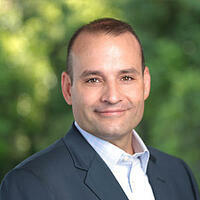 This allows for no names, email addresses, or physical addresses to be seen by the individual reviewing the resumes. 2. Skills Testing- Before meeting a candidate send them a skills text. Some individuals have an unconscious bias based on speech patterns, word choice, and tone of voice. By sending a skills test, you are better able to assess the candidate's technical merit. 3. Multiple Interviews- Companies should have interviewees meet with a few different people within the organization. Bias is different for each person in your organization so by allowing a hand full of people to interview the candidate you are reducing the risk of an individual's biases affecting the group. Unconscious bias can be harmful to both a company and the culture it seeks to create. Keep these tips in mind when you are interviewing and be on the lookout for more tips, tricks, and advice on dealing with unconscious bias.